Have you ever been accused of something that you did not do? 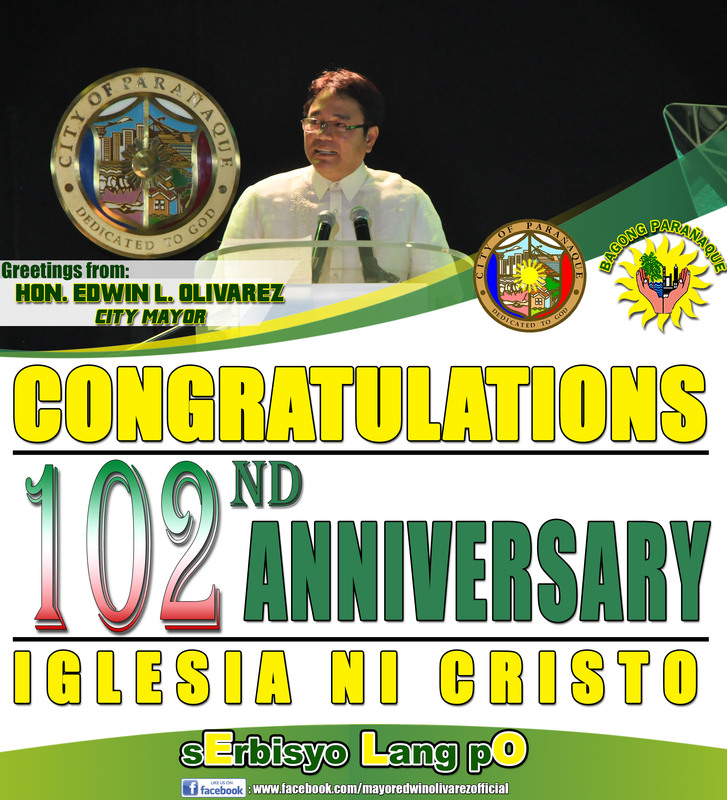 This is currently the case of Mayor Edwin Olivarez, Recently the beloved mayor of Paranaque received allegations from retired barangay official Jonatan Bernardo. The later has accused the Mayor of graft and corruption charges. 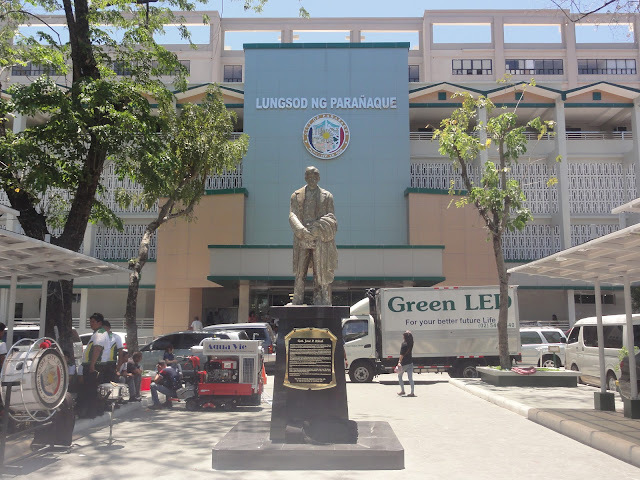 "Parañaque City has in fact benefited from the compromise agreement with the Wenceslao Group" — a company Quinto claims is consistently lauded as one of the city's largest taxpayers. "The same compromise agreement was approved by the City Council and was even approved in 2014 by no less than the Supreme Court itself which ordered the parties to strictly comply with the said agreement," he added. Quinto also said that the company will respond to the complaint as soon as their company receives it to ensure that the firm's reputation is protected "against any baseless and malicious statements." 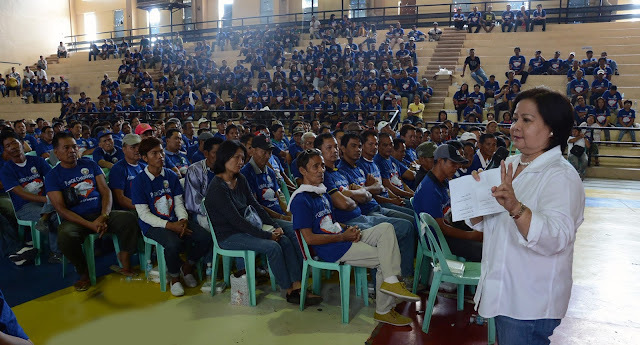 We were able to procure two documents that is supporting the claim of both Mayor Olivarez and the Wenceslao Group of Companies. 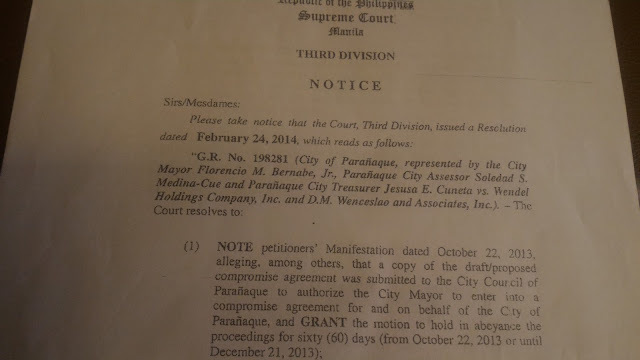 The First Document was a Resolution from the Supreme Court stating that indeed it has granted authority to the Mayor to a compromise agreement with the Wenceslao Group of Companies. "In so far as the compromise agreement between Paranaque City and the Wenceslao Group, it was the City who benefited from the same as we overpaid around 390 million pesos in real property taxes,"
If we base our observation on the documents above it can be stated that both Mayor Olivaroz and Paul Quinto were telling the truth. This was a problem even before the time of Mayor Olivarez and he was able to resolve the situation via compromise agreement. It can also be observed that the case is already finished and has gone through the proper channels. Nothing was out of the extraordinary since everything went to higher authorities than the ones being involved. Namely the Court of Appeals and the Supreme Court. Furthermore the complainant Jonatan Bernardo needs to provide further documentation of his claims. 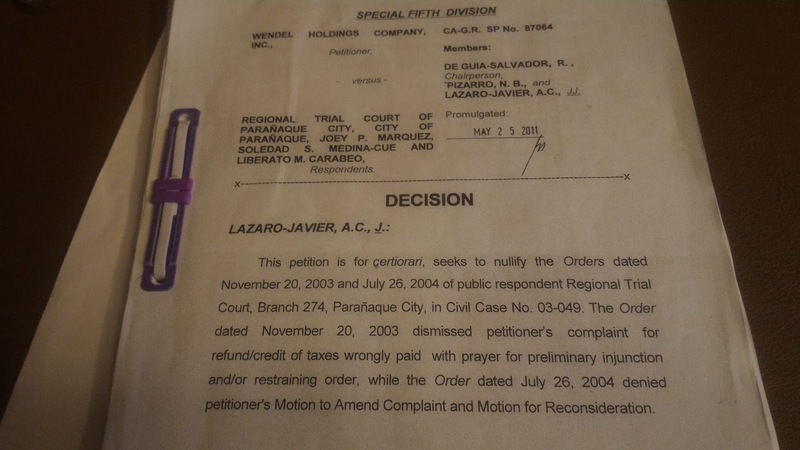 In closing, I would have to say that unless proven otherwise both the Mayor of Paranaque and The Wenceslao Group of Companies are not guilty of anything.